There’s a certain fascination with how the other half live, from their lavish spending sprees to their flashy cars and even their gym routines. But the houses of the rich and successful are even more intriguing, as very rarely do we get to see inside their spectacular homes. Even properties that carry a link to a famous film can spark our interest, with film-featured houses holding an extra special value. 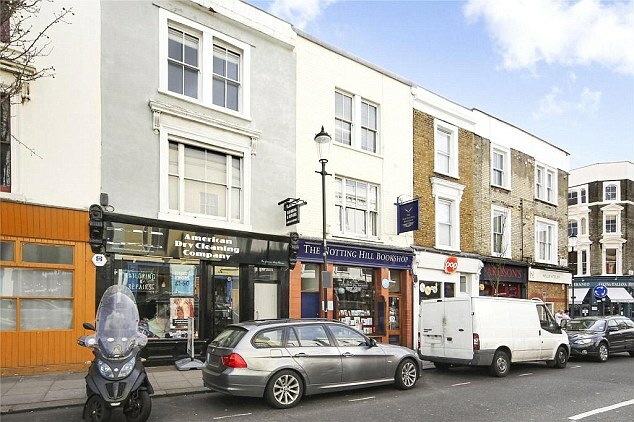 The flat above the bookshop that inspired Hugh Grant and Julia Roberts romance in Notting Hill is on the market for £1.5 million. In the films, the duo met at an independent book shop owned by Hugh Grant’s character Will Thacker on Portobello Road. The real bookshop is located around the corner in Blenheim Crescent. So now film fans of the beloved British classic could get a slice of the action with the two-bed maisonette up for sale for £1,495,000. Average house prices here sit at around £1.6 million, with flats averaging less than a million typically. So this Notting Hill prime real estate comes in way higher than usual, as notoriety comes at a premium. Homes with a film connection often sell well above their average value as buyers usually are wealthy film fans willing to pay above the odds for the connection. The only catch with these renowned residences is that they are just as exciting to you as the buyer, as the next fan. So you’re likely to be bothered by swathes of fans looking to get a picture outside their favourite movie landmark. J.K. Rowling penned the British classic based on a mixture of real world locations and Hogwarts fantasy. 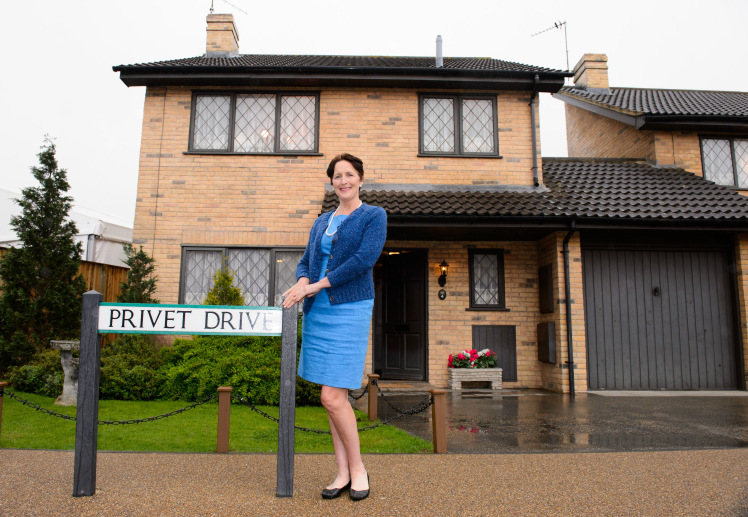 4 Privet Drive in Little Whinging in Surrey is in fact a non-fictional location. Although portrayed as a real-world place in the novels, it is indeed non-existent, so if you want to visit the famous cupboard-under-the-stairs home then you’ve got as much chance as seeing Godric’s hollow. Up until now! Potter fans have been ascending on the Harry Potter experience at the Warner Bros. studio tour by the masses in the last few weeks, since they opened a new exhibit in celebration of the 15th anniversary of The Philosopher’s Stone. Visitors can now experience the Dursley’s house first hand, including an installation of the thousands of letters Harry received from Hogwarts in the front room. The cupboard under the stairs is featured later in the tour but this is a nice addition. The exhibition is open for a limited time only, so buy your tickets now. 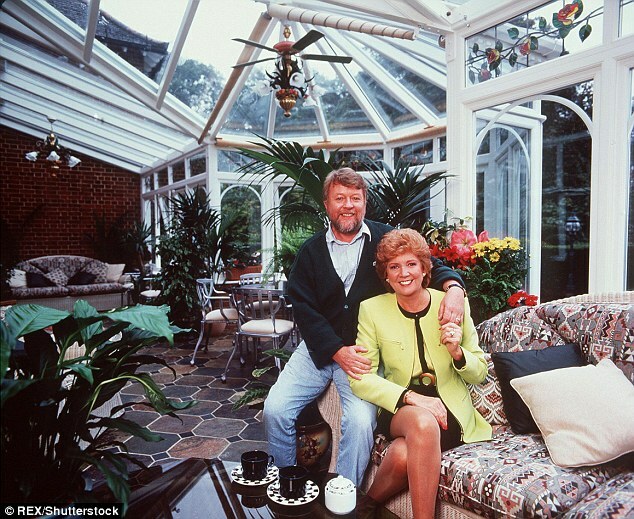 National treasure and beloved TV personality, Cilla Black’s eight-bedroom country mansion is up for sale, following her death 10 months ago. Home to her and her family for 45 years, the house has many memories over a fascinating period of the star’s life. She kept her family very private and lead an openly public profile which many people adored. And now for the first time, people can see inside the Blind Date host’s home. The house features an all-white grand piano in the sitting room where she would rehearse her songs before performing on television, 17 acres of gardens, a tree-lined drive and maybe even a ghost Cilla claimed to have seen whilst living there. The house is for sale for £4.35 million, 100 times the price they paid for it half a century ago. Elton John’s former penthouse flat in London. 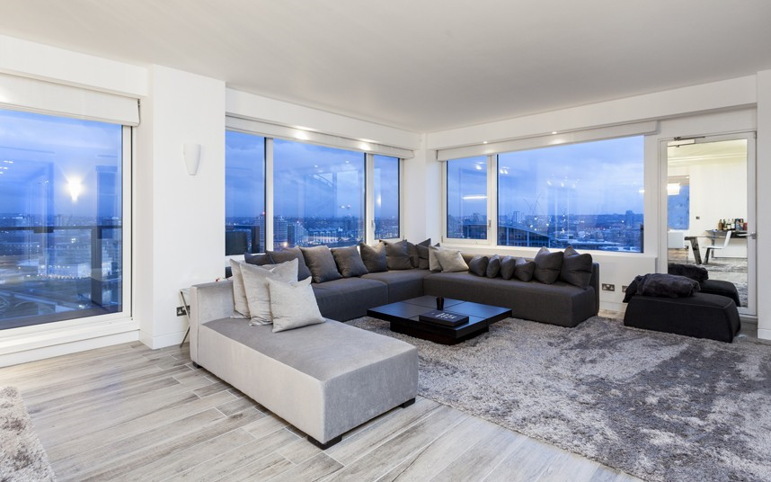 The three-bedroom penthouse is located in Chelsea, occupying the entire 15th floor of the Belvedere building. Costing a cool £4.3 million. John Lennon’s sixties home in Weybridge, also in Surrey, is the location that inspired some of his greatest hits such as ‘I feel Fine’ ‘Ticket to Ride’ and many tracks on the Sgt. Pepper album. This piece of history went on sale in January 2014 fetching £13.5 million. Just an hour’s drive from the Abbey road studios in London, this country mansion was bought for £20,000 in 1964. It was a getaway for Lennon and his first wife Cynthia back when the Beatle’s reached the height of fame. The exquisite mansion features six-bedrooms, six-bathrooms, terraced gardens, two acres of grounds and a full-sized swimming pool. A far cry from Lennon’s childhood terraced home in Liverpool. Lennon hosted guests such as Bob Dylan, the Monkees and Peter Cook. 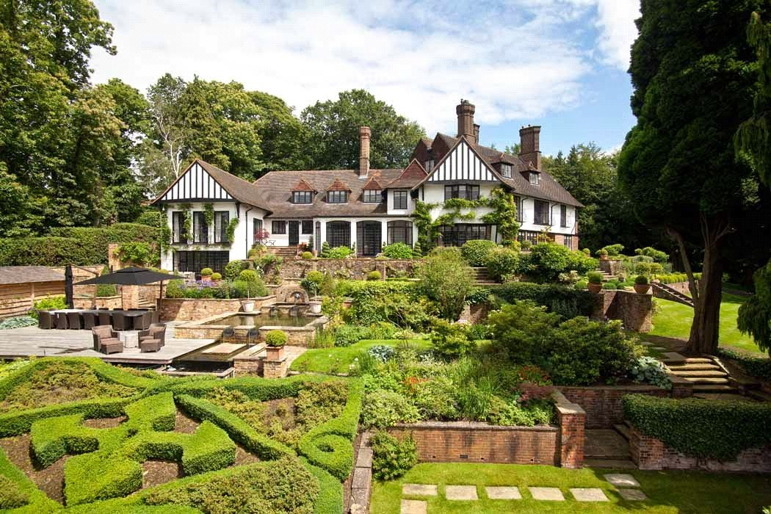 Heathridge House in Oxshott, Surrey is a huge five/ six-bedroom mansion spanning over 7,600 sq. feet. This was once home to professional golfer Colin Montgomerie and is located in the same neighbourhood as world No. 2 tennis player Andy Murray. 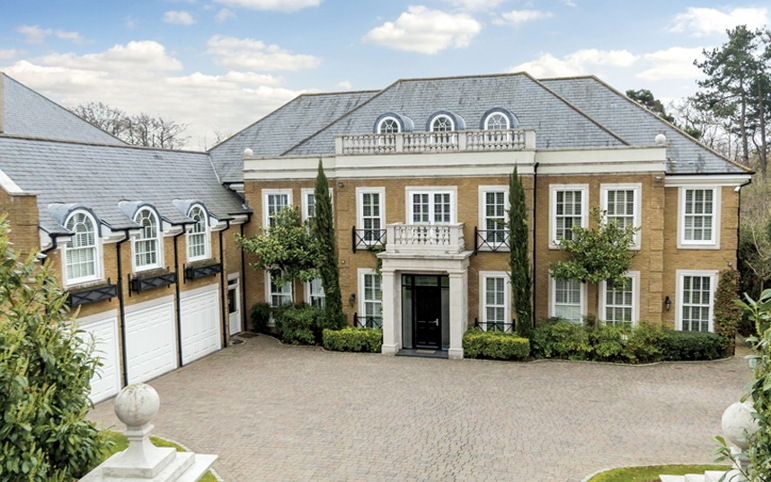 It’s a three-storey mansion with an interior designed by the same designer responsible for rooms at 10 Downing Street. At just under £4 million guide price, this is certain for a fast sale.